EHEIM universal pumps offer a large performance spectrum and a wide variety of uses. They are very reliable equipment offering exceptionally long service life. They can be used inside or out of water. 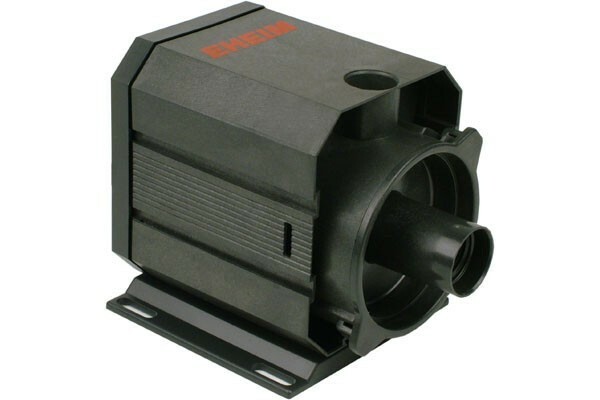 The integrated prefilter, safe hose connections, a variety of connections and fixings, but above all their absolute reliability make the EHEIM universal pumps very popular. They are frequently used in a professional environment – e.g. in breeding units and in zoos. There are 5 models with output levels from 300 u to 3400 l/h., each with a choice of 1,5 m (Indoor) or 10 m (Outdoor) cable. Also there is a flexible hobby pump with 270 l/h. output. Thread Ø suction side: 3/8 "
Thread Ø pressure side: 1/8 "